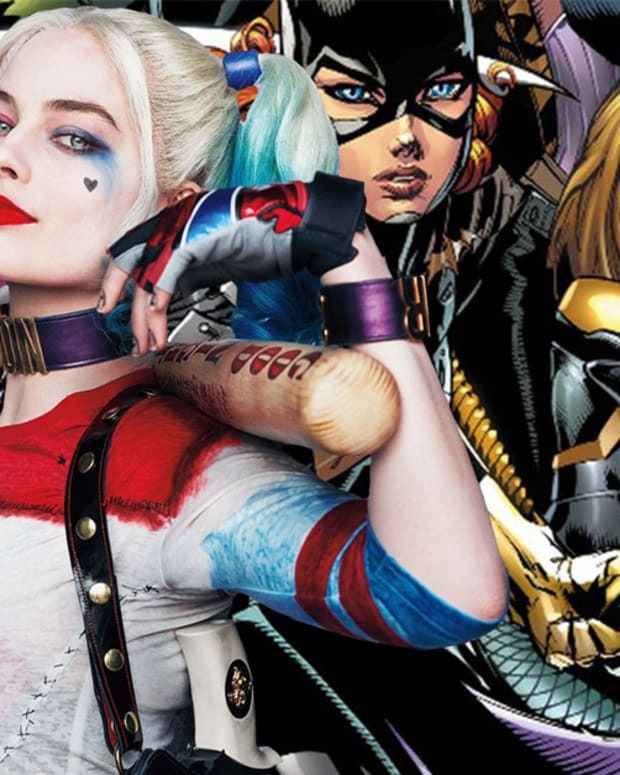 In real life, Margot Robbie may be a blonde Australian bombshell with an affinity for tattooing other people, but in the upcoming Suicide Squadfilm, set to hit theaters on August 5,Robbie plays Harley Quinn, a deranged supervillain who revels in murdering innocent people with her gag-themed weaponry, and she’s the one with the ink. During a recent interview with Yahoo! 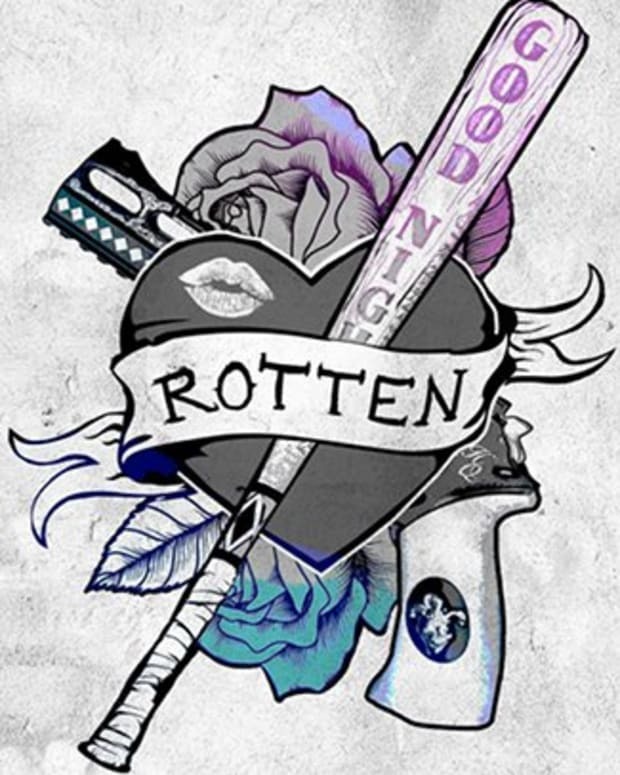 Movies UK, Robbie spilled the beans about Harley Quinn’s tattoos, how they came about, and the disturbing meaning behind them. 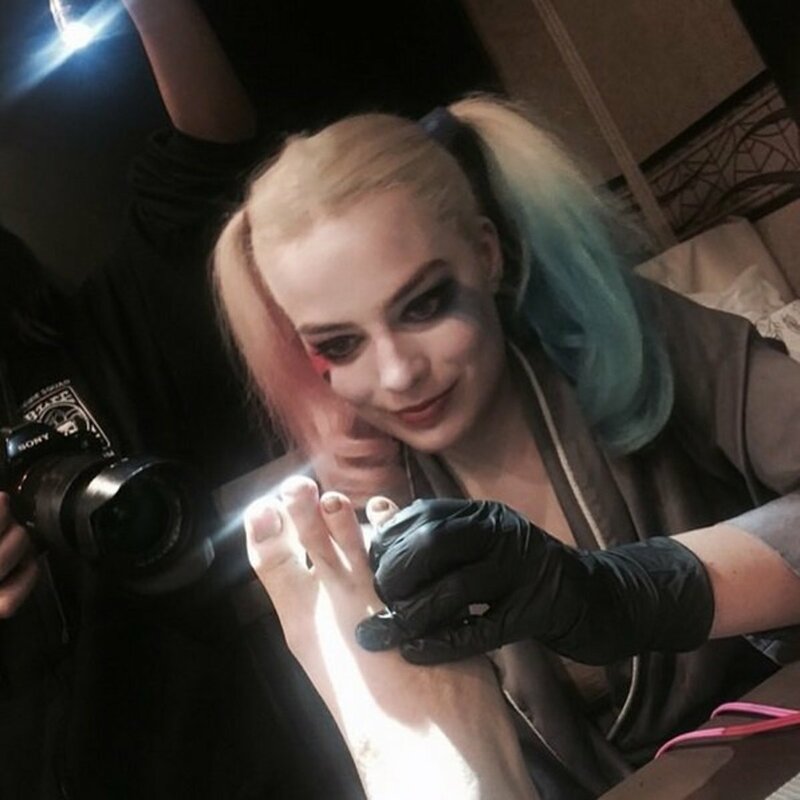 “She did these herself in prison,” Robbie says about Harley Quinn’s various Joker-themed tattoos in the on-set interview with Yahoo! Movies UK. “They’re stick and poke tattoos, prison-style tattoos, that you do when you don’t have a tattoo gun. 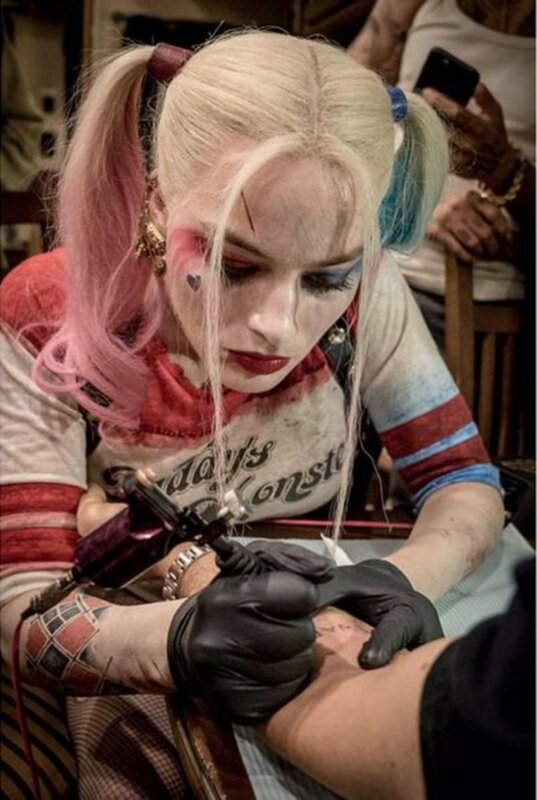 She did them herself out of boredom and desperation.” As for the actual design of Harley Quinn’s tattoos, Robbie says, “There’s ‘I Heart Puddin,’ a Joker face, a love heart…that’s obviously reflective of her time in prison.” She also has “Lucky You” inked on her lower abdomen, “Ha Ha Ha” inked on her leg, and a series of red and black diamonds reminiscent of the iconic harlequin costume the character originally wore. 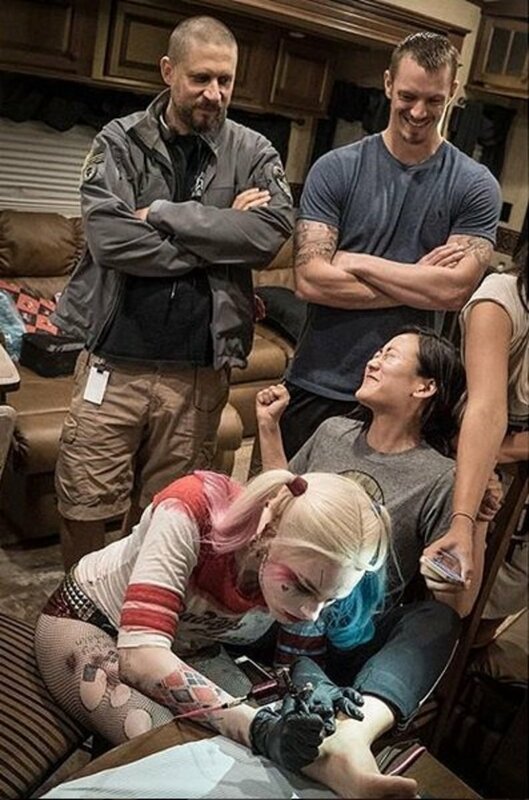 According to the Suicide Squad plot, Harley Quinn, formerly known as Dr. Harleen Quinzel, was a promising psychiatrist assigned to Arkham Asylum, who fell victim to The Joker’s warped mind and broke him out of Arkham, devoting her life thereafter to making him happy and murdering countless innocent people, all in his name. 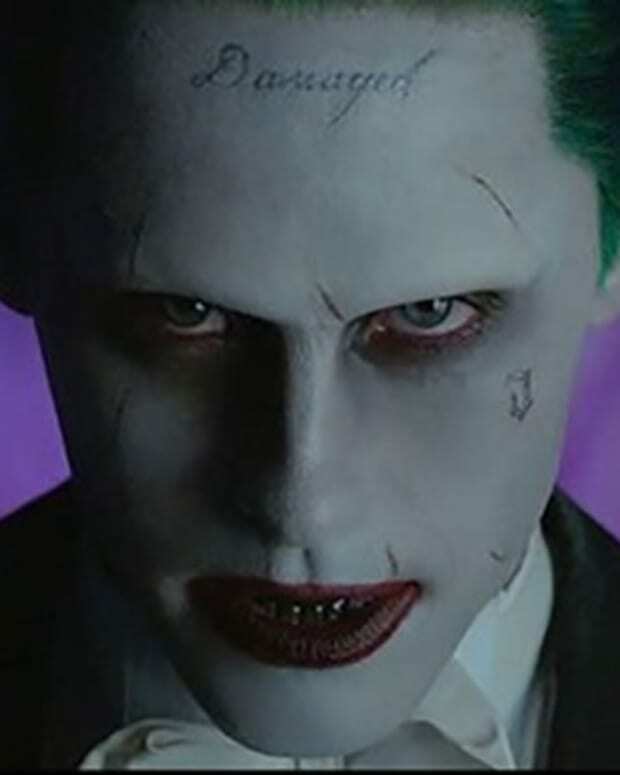 Speaking of his name, “Puddin’” is the nickname Harley Quinn gives her beloved, The Joker, played by Jared Leto in the upcoming film, hence her “I heart Puddin’” tattoo. 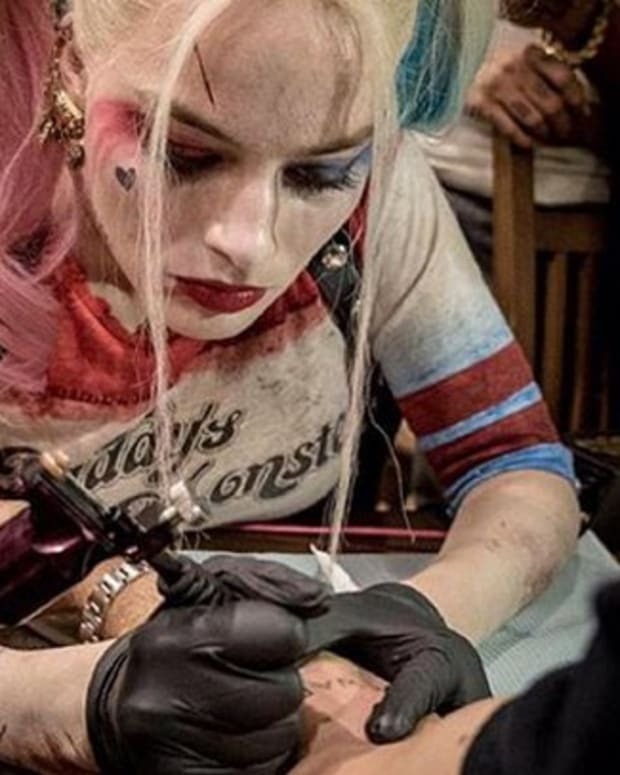 Lucky for Margot Robbie, when she’s tattooing her friends and loved ones in real life, she doesn’t have to resort to stick and poke tattoos; she has her very own tattoo kit, given to her by a friend when she finished filming Tarzan. 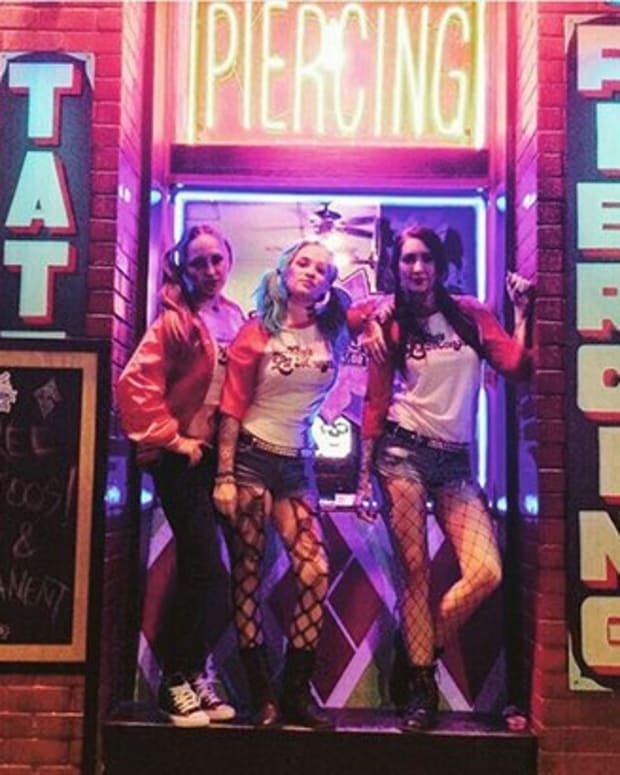 She actually gave several of her Suicide Squad co-stars “SKWAD” tattoos commemorating their time working together on set, and, get this, she gave the ink while dressed in her full Harley Quinn get-up.